SALC Learning Advisor Satoko Watkins and a group of students started meeting on Friday lunchtimes last semester to catch up and chat in English. Over the past few months, this group has grown into a “Conversation Club” which meets every Friday lunchtime in Room 4-105. New members are always welcome, so please let your students know about it. 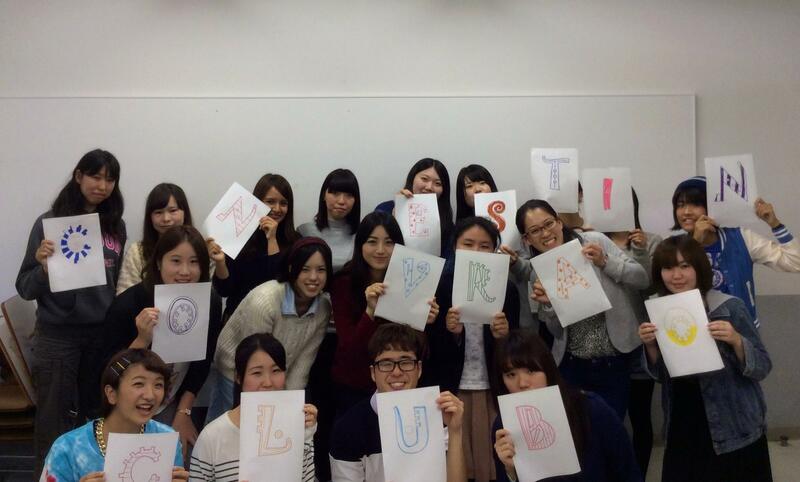 Satoko still advises the club and attends the meetings, but it is now under student leadership. 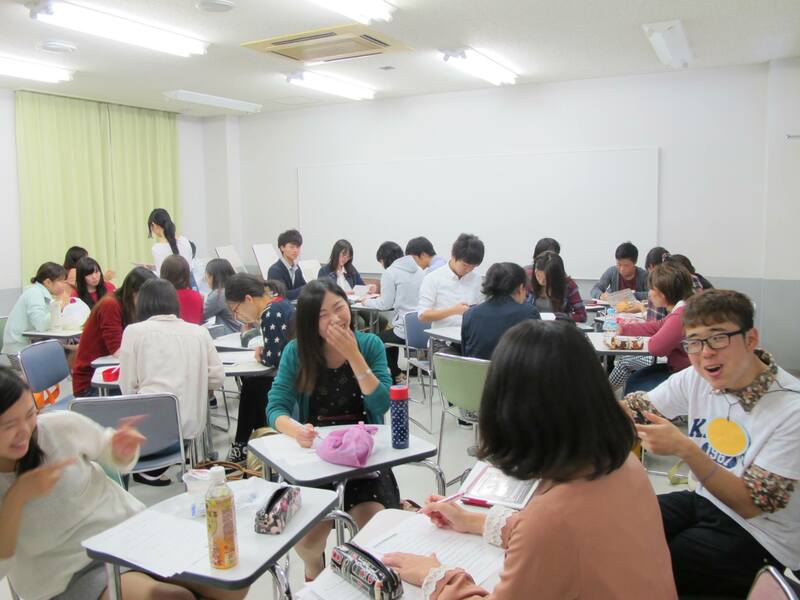 Sophomore student from the English department, Yukino, is the leader; Manami (another sophomore student in the English department) is a sub leader; and Naoto a freshman student majoring in Indonesian is another sub-leader. Semester 2 modules are well underway now with students working closely with learning advisors on Effective Learning Modules 1 and 2, and Sophomore Modules. These modules help learners to develop a sense of control over their learning as they develop and implement a learning plan, and reflect on their progress. We have some spaces for students who are interested in taking a non-credit module related to TOEFL, TOEIC or IELTS. If any of your students could benefit from support with preparing for one of these exams, please encourage them sign up via the website: http://elisalc.org/modules/exam-module/. 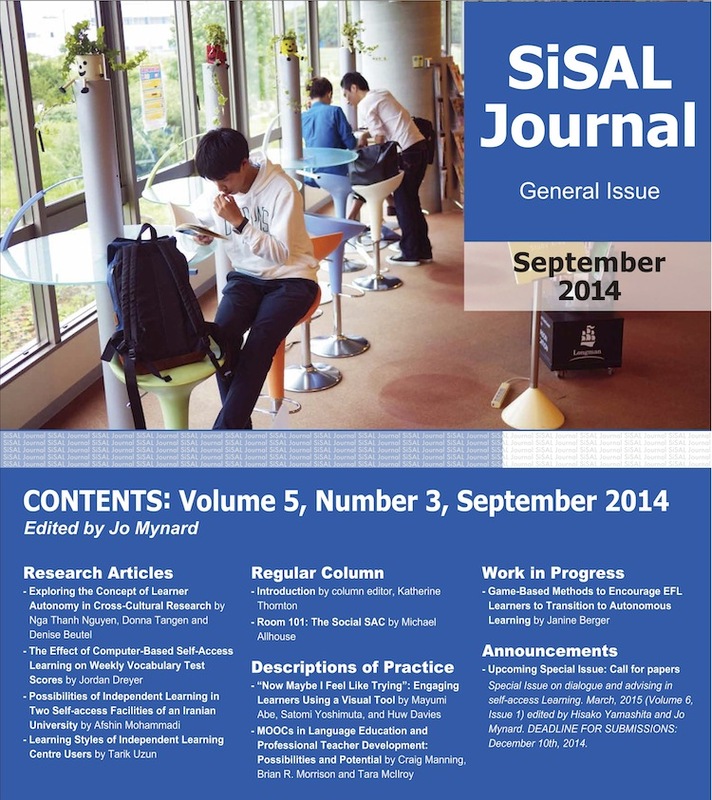 Issue 5(3) includes papers from Vietnam, the USA, Iran, Turkey, the UK, Japan and Ecuador. Cover photo taken in our SALC by ELI lecturer Eric Hall.